The Pattern Maker transforms the drawing of the stylist into a pattern from the project to the prototype. He have to maintain proportion, ease allowance, style of the drawing. The Pattern Maker has to supervise prototype production and then provide to the pattern grading. 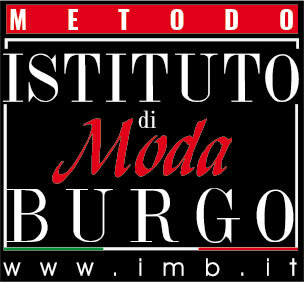 Teaching materials by ISTITUTO MODA BURGO – Milano consist in book “Pattern Making” and square. Teaching in English, Italian, Russian. At the end of the Pattern Making Course is issued the DIPLOMA of professional qualification of FASHION INSTITUTE BURGO of Milan – the famous Italian fashion school. The DIPLOMA is recognized by Lombardy Region. The cost of the course includes VAT and didactic material, which consists of text book and rules. Final examination fee with external commission for issuing the Certificate of Professional Qualification €300. The enrollment at our school can be made in any month of the year because the courses have an individual character.